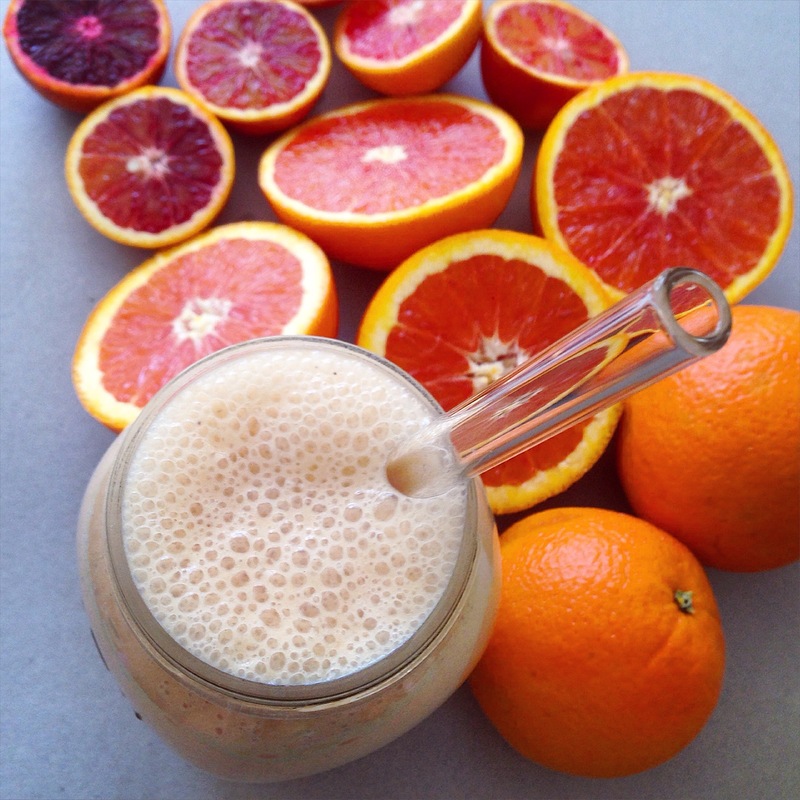 Citrus Sunrise Smoothie. | Eat More Plants. Who comes up with smoothie names anyway? I remember going to Smoothie King with my dad in Penn Station, thinking about that. I would go to work with him sometimes and he’d always make sure we had time to stop and get a smoothie (and an Archie comic book for me from Hudson News) before getting on the train home. I hope you are cataloging these posts, preparing for your book… Great stuff! Yum! This looks so wonderful! I thought i would try it with a grapefruit (mine was not sweet enough) so i had to add honey to cut the bitterness. Tomorrow I will try it with oranges. I have a bag full from my parents tree. I love the use os dates in this one.